Luis Tafur (the goalkeeper) with his new team Sport Loreto. Luis Tafur is a 33-year-old Peruvian football player who plays as a goalkeeper. Tafur is native to Lima, the capital of Peru. However, most of his career has been spent in high-altitude cities in the center of the country. This interview has been a thorough review of the entire career of Luis Tafur. He tells us about his childhood, the injury that took him away from football, his return to football, his experience as a professional footballer and many other important moments of his career. Tafur this year was signed by Sport Loreto, team from the city of Pucallpa and one of the most important teams in the Peruvian jungle region. 1) I always start by asking the interviewees for their first years. What can you tell me about your childhood? Luis Tafur: I had a very quiet childhood. I was never very studious. I started playing football since I was eight years old although I did not play goalkeeper, but as a forward in the Sporting Cristal academies. It was a beautiful experience. It was in the year 1992. At that time, the style of Sporting Cristal with Flavio Maestri was very popular. At that time I was more or less tall and had that style of play. That was what encouraged me to be a forward at first, but then I decided to be a goalkeeper. I started playing as a goalkeeper at my school. I remember that we participated in an edition of the Copa Crema, a junior football tournament organized by Universitario de Deportes. The participation of our school was good. I think we finished in fourth or fifth place. That's when a coach from the minor divisions of Universitario named Raúl García recruited me. 2) Do you remember any teammate when you were in the minor divisions in Universitario? Luis Tafur: I remember almost everyone. Every year we have a meeting at the end of the year. Jean Pierre Subauste, Michael Guevara, Javier Chumpitaz, Luis Salhana, Luis Tarrillo, Gerardo Gárate, Pedro Román, Juan Carlos Taboada... We were a great team. 3) Did the injury that took you away from football happen while you were in the minor divisions of Universitario? Why did you decide to return to football after that? Luis Tafur: The injury I had when I was in minor divisions of Universitario. It was an injury to my shoulder and it kept me away from the football fields for a long time. I thought about retiring but I returned to football playing in a team from my neighborhood called Los Jardines. After so long without playing I hesitated, but I knew that this was my thing. I did not have the same physical condition, but I trained and did what I liked the most. From there I went to Defensor Villa del Mar to play the Second Division. At that time the Second Division were only teams from Lima. Not like now that there are teams from all over the country. I was the substitute goalkeeper. The starting goalkeeper was my great friend Teddy Ramirez. The match that I remember the most was my debut against Olímpico Somos Perú. Olímpico Somos Peru was the strongest team in the Second Division those years. We lost 4-2 at the Miguel Grau stadium in Callao. 4) In 2006 you moved to Cusco. How do you value that experience? I imagine that many of the football fields where you played that season were very complicated. Luis Tafur: It was a good experience. At the beginning it was complicated because it was the first time I lived outside of my hometown, and I had to get used to living alone. The football fields were very complicated. There were fields that had no grass. We were an unknown team that reached the Regional Stage. 5) In 2007 you moved to Junín. With Sport Águila you reached the final of the Copa Peru and lost the final against Juan Aurich. What balance do you make of that season? Águila always had a reputation as a very popular team in Huancayo, but even before that campaign in 2007 no one nationally knew this team. Do you consider that Sport Águila was the great revelation of that season? Luis Tafur: That 2007 I was in ADT and we reached the Departmental Stage. At that stage, Sport Águila eliminated us and then I reinforced Sport Águila in the Regional Stage and the National Stage. I have always said that although Sport Huancayo is in the First Division, the most popular team in Huancayo is Sport Águila. And I do not say this because I played for Sport Águila, but because I lived there and I saw what the situation is like. It was a beautiful experience. They were very difficult and complicated matches. 6) You stayed for a while longer in Huancayo with Sport Águila. In the debut campaign in the Second Division in 2008, Sport Águila was third only behind Total Clean and Inti Gas and four points behind the promotion to the First Division. What is your balance for that season? Many will be surprised how the team was improving week after week after that resounding debut 0-4 against Inti Gas. Luis Tafur: We were a great team. The coach was Roberto Mosquera at the beginning. He is a great person and great professional. He did an impeccable job in the preseason. To this day I do not understand why he was fired after the first match. The work we did with him in the preseason helped us a lot. The debut was disastrous after a 0-4 against Inti Gas. After that defeat we did not lose a match in the first round again. In the end unfortunately we did not achieve the goal of promotion to the First Division. 7) In 2009 Sport Águila was a little further away from the top positions and finished in fifth place in a season in which the expectation was centered on Sport Boys and Cobresol. Sport Águila, like the previous season, became strong at home but lost once from local 2-5 against Atlético Minero. What balance do you make of that season? Luis Tafur: Many more experienced players arrived, but that season was irregular for us. We won almost all home matches, but we did not get good results playing away from home. That 2-5 against Minero was the last match of that season. In the last matches we only traveled to Huancayo from Lima two days before to finish the season. 8) In 2010 you played in a Huánuco team and then reinforced ADT in the National Stage. With ADT you reached the semifinals and you were very close to reaching the First Division. What can you tell me about that season? Luis Tafur: In 2010 I was hired by Alianza Universidad, a team from the city of Huánuco. Alianza Universidad is a serious team from which I keep the best memories. We did not do so well that year. We arrived at the Regional Stage where we were eliminated by ADT. Then I reinforced ADT for the National Stage. ADT is the most popular team in the city of Tarma. In the semifinals, arbitrary decisions by referee Pacheco prevented us from reaching the final. It was a great experience. 9) In 2011 you returned to Lima to play for Estudiantes Condestable. You became the departmental champion of Lima with that team and were very close to qualifying for the National Stage. What balance do you make of that season and what do you remember of those matches against Pacífico, the team that eliminated you? Luis Tafur: In 2011 I had the opportunity to return to Lima and be closer to my family and friends. Estudiantes Condestable is a team from a city south of Lima called Mala, which is only two hours away. It was a serious proposal. There was a good team. That series of matches against Pacifico were decisive. There were four matches in a row. They were good matches but we were eliminated and they qualified for the National Stage. It was a nice experience because we had the support of the whole city of Mala and the province of Cañete. 10) In 2012 you returned to Huánuco, but this time to play Second Division with Alianza Universidad. There were five teams that reached the final with possibilities, but Pacífico was the champion. What did Alianza Universidad lack that season to achieve the title? Luis Tafur: We had a good team very committed. As you say there were many teams with chances. In the penultimate match we were left without chances to be champions after losing against Los Caimanes. Nor did we win an important match at home against Pacífico. It was a 2-2 draw in a game that we had to win and we could not do it. 11) In 2013 you continued playing for Alianza Universidad. The campaign was not bad, but the goal of promotion to the First Division was not achieved. Los Caimanes finally was the champion team beating Alfonso Ugarte and a surprising Atlético Torino. What is your balance for that season? Luis Tafur: In that season we maintained the base of 2012 but several players and a new coach arrived. The campaign was pretty good but we were irregular. We could not win decisive matches. That in the long term prevented us from being in higher positions. It was an even tournament with a surprising Atlético Torino as you say. 12) In 2014 you moved to the city of Talara, located in the north of the country, to play for Atlético Torino. Unlike the previous season, Torino did not finish that season in the first places, but managed to recover after placing in the last positions during the first half of the tournament. What was the best match of that season? Luis Tafur: In 2014 I received a proposal from Talara to play for Atlético Torino. I have a special affection for that city because my mother was born there. We did not start the tournament well. We were irregular although we won important matches. The match that I remember most was a 2-0 victory against Sport Boys. We had good matches at the end because the group committed not to descend. In Torino, campaigns are always difficult because of administrative and economic problems. It is very difficult to work in those conditions. 13) You continued in Torino in 2015 despite all the administrative difficulties. That season was not bad. 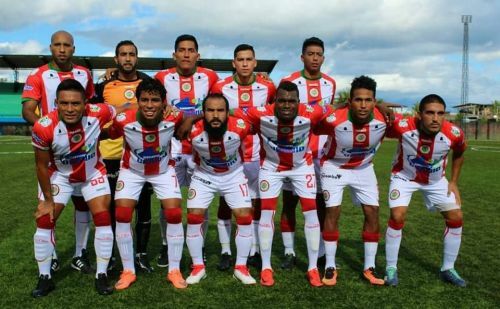 Torino obtained the third place just below Los Caimanes and Comerciantes Unidos, the team that finally became the champion. What balance do you make of your last season in Talara? Luis Tafur: That season the aspirations were serious. Playing at home we became strong and playing away from home we achieved important victories. Unfortunately the goal of promotion to the First Division could not be achieved due to the economic problems that the team was dragging. It is this kind of problem that always prevents you from achieving glory and promotion to the highest division. 14) In 2016 you played for Cultural Santa Rosa, a new club that made its debut in the Second Division that season. What is your balance of that season and how was the experience of adapting to a high-altitude city like Andahuaylas? Luis Tafur: Particularly I have never been affected by playing in high altitude cities. I have always played in cities such as Huancayo, Tarma or Cusco without any problem. It was a new club, new experiences and new teammates. It was a good season although we could not win decisive matches. We also could not add many points playing away from home. There is also the management issue. The first season in professional football for teams that used to be amateurs is always complicated. 15) How was your situation in 2017? Luis Tafur: In 2017 I trained with SAFAP (Association of Professional Football Players of Peru). With SAFAP we went to the South American Championship in Cali, Colombia, representing Peru and we achieved the third place. Months later I got the chance to play for Defensor La Bocana in Second Division. But that team had no money and was in a complicated situation. I returned to Lima and began to be a coach in minor divisions. Then I got the chance to play for Sporting in the Superliga Movistar consisting of teams composed of seven players. It was not a professional league but it allowed me to maintain the sporting rhythm. 16) What do you consider the greatest achievement of your career? Luis Tafur: I have not won a title yet and I hope I can do it this year. I am satisfied that I was able to return to football when I was very far away. I was able to fulfill my dream and dedicate myself to football. My history is not over yet. Now I am father and I have a son. He is my greatest motivation. Getting the title this season is what I dream the most. 17) What has been the best match of your career? Luis Tafur: My debut in the National Stage of the Copa Perú in 2007 playing for Sport Águila against Sport Huamanga. It was a quarterfinal match in Huancayo. We won 3-1 and we qualified to the semifinals. That was the best match of my career. 18) Is there a goalkeeper that has been a great influence or inspiration for you? Luis Tafur: I have had the luck to train with Oscar Ibáñez in Universitario. He was the goalkeeper of the Peruvian national team. He is a great person who always gives you good advice. A goalkeeper that I have always liked is the Danish Peter Schmeichel. I always saw hismatches and I always liked his style. 19) What is the anecdote of your career that you remember the most? Luis Tafur: There are thousands of anecdotes. I do not know what to say because not all could be told. After a game in which we won we made a small celebration among all the players of the team. The next day the training was scheduled to start at noon. The celebration was so great that the coach found out and, as all the team had been in the celebration, the coach did us the favor of changing the training schedule at seven o'clock at night. 20) This is the final question: What are your expectations with Sport Loreto for this season? Luis Tafur: Definitely the expectations are the highest. I think we have worked hard and a great group has been formed to try to achieve the goal of promotion to the First Division. Now even more because there are more options. The next year will be 18 teams in the First Division. The preseason was good. We have a coach like Carlos Galván who likes to work hard. He is a great person. He works very well, believes in his players and always supports us. That is important because you know that the coach has confidence in you and your work on the field.